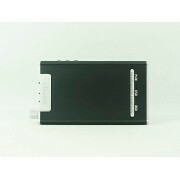 X3 is a HI-FI level digital music player especially for audiophile. With small size, light weight, fashion outlook, it can be brought conveniently when you are at home, on business, on travel, etc. 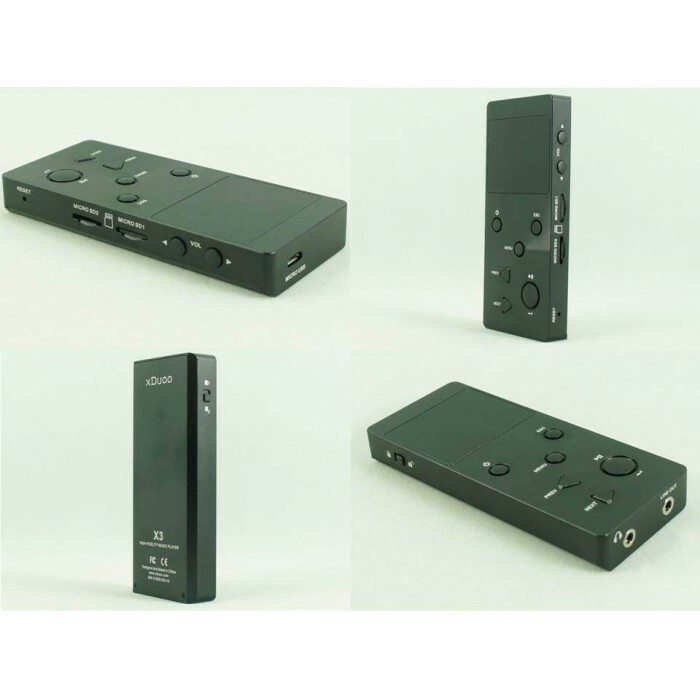 It can support all popular lossless audio formats, can support up to 24Bit / 192KHz HD sampling rate, and also supports the current popular DSD format. To meet the bigger capacity of lossless audio, X3 supports two 128G TF / Micro SD card, so you don’t need to worry about the storage capacity. With the high definition OLED screen, Letters on the window can be clearly found even in the sunshine. X3 player, your real friend, no matter you are at home, on business or on the way. 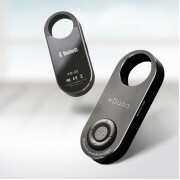 Maximum support 128G * 2 of TF / Micro SD card, can be installed more than 5000 of lossless song: over 50,000 MP3 songs. Let you no longer worry about capacity shortage problem. Weighing only 100g, measuring only 105.5 * 45 * 14mm, making you no longer carry the brick like player, this player is convenient you to carry around when staying at home, traveling, shopping! Connect LINE OUT, the machine automatically adjusts the sound to maximum, turn off automatically disconnect PHONE port, after disconnecting the LINE OUT sound machine automatically return to normal, open the PHONE interface. Eliminating the needs to manually adjust your troubles. 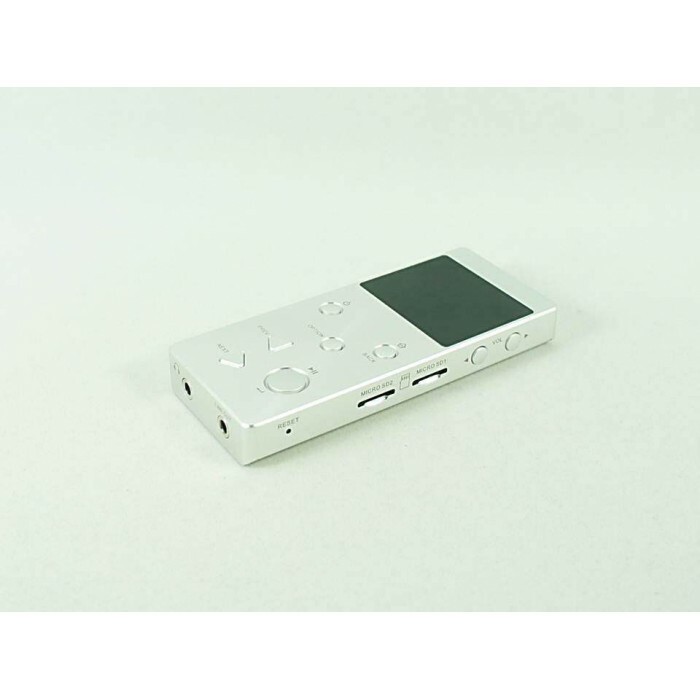 This player is produced by aluminum alloy through CNC integral processing, and the completely enhanced technology makes the housing solid and durable. 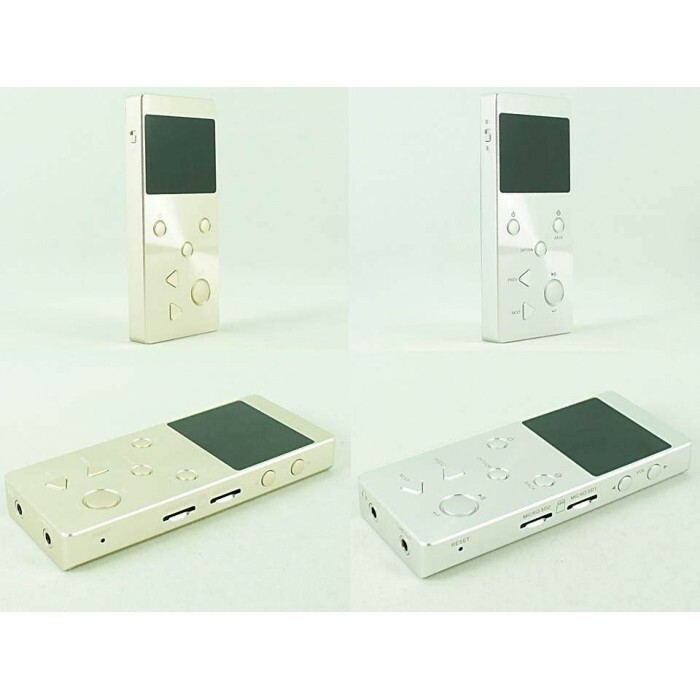 Each product enclosure is derived from a complete block of aluminum alloy, and the entire block aluminum alloy will be cut into piece through CNC, which is then used to make high-rigidity player body, and the housing is solid and durable. In order to pursue a unique appearance, we introduce the CD line finishing for the first time, making the player appearance to be stylish and innovative. CD vein is a high-grade surface treatment process of metal surface, a precision CD line machine is used to remove some material on the metal surface to reach an effect similar to a CD, under the sun, the surface will disperse many light strips to the surrounding along the center point, the light is very beautiful, making the product more unique. To make the machine holding up more metallic and friction sensitivity placed in the hands of a texture not easily fall. Key press operation, simple and easy to use! No need of two cumbersome operations, it is suitable for music enthusiast at all ages! Power/Screen Lock Button: Long press to turn power on/off, short press to turn the screen on/off. ESC Button: Back or exit the current menu. Menu Button: In playing window, press MENU to play setting window. Previous Button: Short press to the last song, long press to rewind; in menu window, press to previous item. Next Button: Short press to the next song, long press to fast forward; in menu window, press to previous item. Play/Pause Button: Short press to playback or pause songs; in Menu window, short press is confirm key. Vol+: Press to turn up the volume. Vol-: Press to turn down the volume. 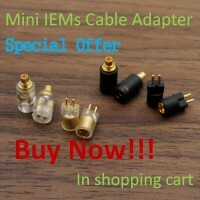 Micro USB Jack: Connect to computer to copy files, or use for charge. Headphone Jack: 3.5mm phone jack, applies to 8-300Ω headphone. Pull out the headphone, will auto pause playing. 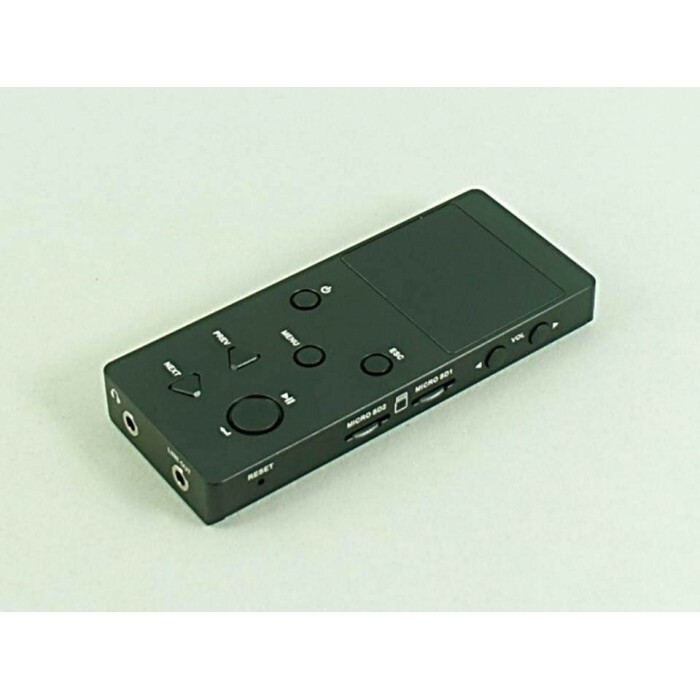 Line Out Jack: Provide high quality sound source, it can connect to other HI-FI amplifier. Micro SD Card Slot: Support 2pcs 128GB card at maximum. Reset Key: when the player crashes or has operation problems, shot press to restart, reset. 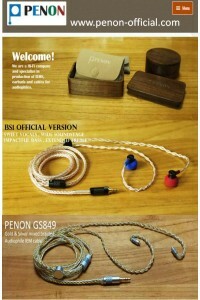 Perfect sound is from quality components and synergistic combination! Each circuit has been carefully designed and repeated modulation. 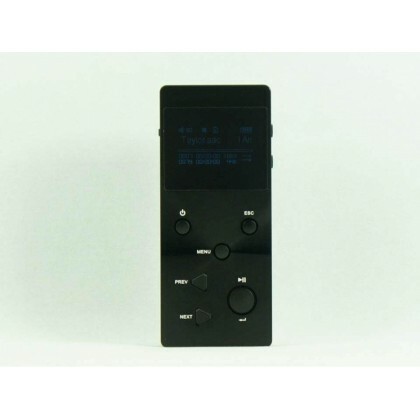 Use high performance audio processing chip of item JZ4760B from Ingenic Company, the maximum frequency up to 600MHz, with super audio decoding capacity, Ingenic has very good reputation in HI-FI users. Ingenic semiconductor is a leading fabless technology company, based in Beijing, China. Ingenic designs the XBurst CPU, an ultra low power and high performance implementation of the MIPS32 architecture. The JZ4760 SoCs, provide great advantages in terms of power consumption multimedia capabilities and cost.JZ4760 has been extensively used in markets including biometrics, e-education, portable media player, e-reader and mobile internet devices. Use flagship chip CS4398 from CIRRUSLOGIC Company, this chip is widely used by HIFI user as it has excellent parameter. Cirrus Logistic is a premier supplier of high-precision analog and digital signal processing components for audio and targeted industrial markets. Cirrus Logic excels at developing complex chip designs where feature integration and innovation is a premium. Cirrus Logic is a recognized leader in analog and mixed-signal audio converter technologies and audio processors that enable today’s new consumer, professional and automotive enterainment products. Built in OP + BUF architecture, making the driving force to be more powerful! Built in a OCL(output capacitor-less)with Split power supply, improving phenomena of frequency characteristic and low frequency domain phase delay, letting the bass to be calm and clean, and the sound to be clear and powerful. 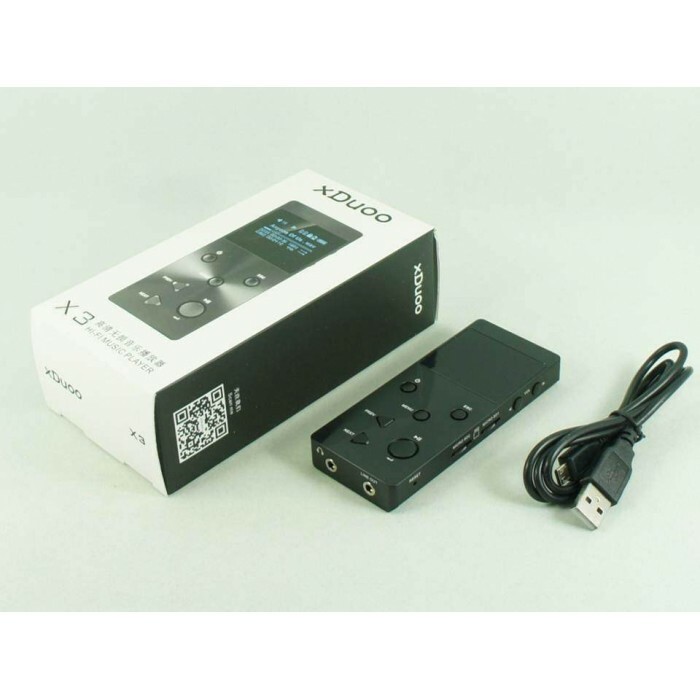 xDuoo XQ-23 CSR8670 APTX HiFi Audiophile Portable Bluetooth Headphone AmplifierDescriptionPort..